Can you imagine living past 100 years old? They say life is short, and that still applies even when you’re over 100 years old. Each and every day is a blessing of time to spend with family, friends, and loved ones. The collection of memories, both good and bad, gets bigger and bigger. However, it’s important to cherish the present time the most, because you’ll never get those moments back! It’s always so heartwarming when we’re able to make our older relatives smile. For instance, when you give them the news that they’re going to be a grandparent. The pure joy on his or her face at that moment is a warm and fuzzy memory that will last a lifetime. 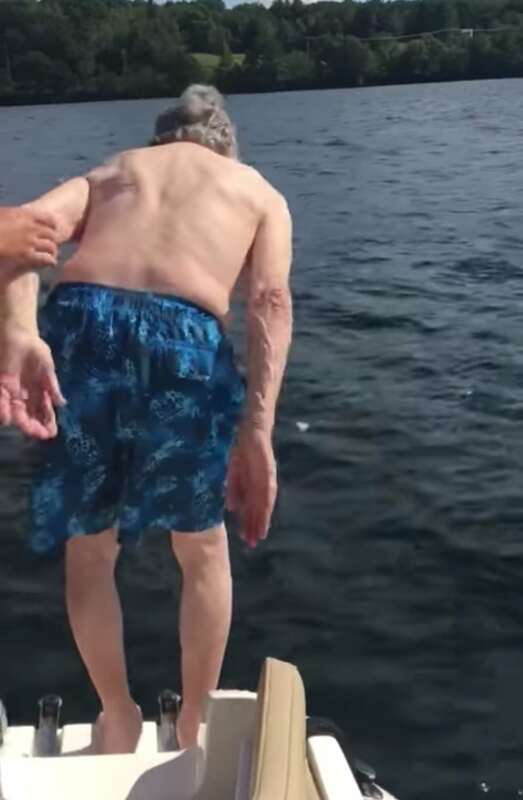 When YouTube user John Kelley went out on the lake with his family for his grandfather’s birthday, he was just expecting a leisurely day to celebrate the Patriarch of the family. The man was, after all, turning 102 years old on that day! 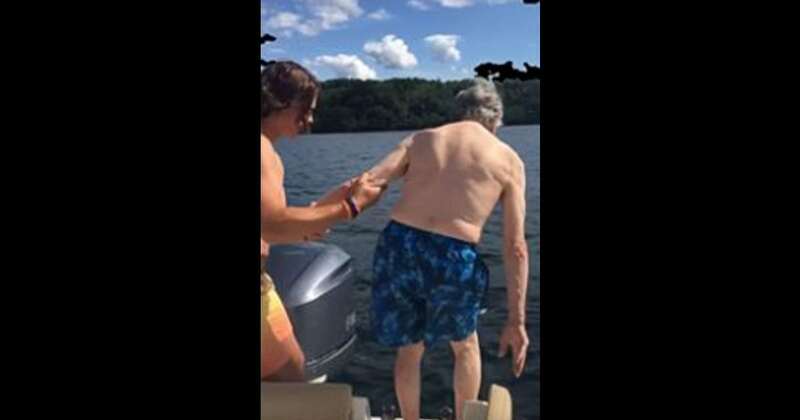 When Grandpa Kelly decided that he wanted to enjoy a swim in the lake, his family didn’t hesitate to help him out. Some folks may have discouraged a man of his age from getting into freezing cold lake water. I know I would have worried about the slippery deck of the boat or the possibility of a temperature shock. But this family knows what’s most important in life: living without regrets. 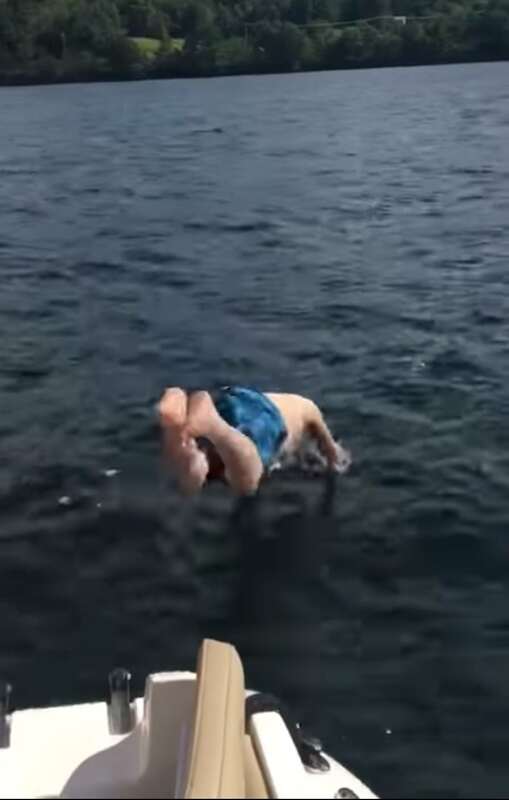 When he gets up to the edge of the boat, it seems as if he’s going to try and gently ease himself into the water. His family holds him up, supporting him by the arm. 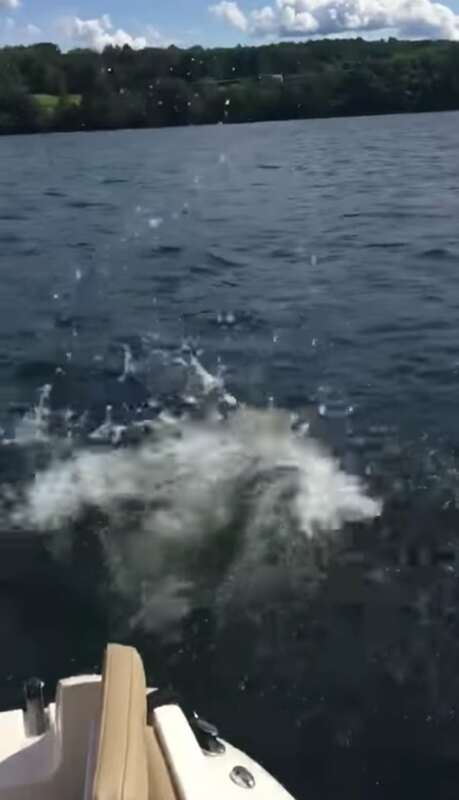 Then, all of a sudden, Gramps dives headfirst into the water – and with surprisingly good form, too! “No way! He dove!” And another four letter word that, in my humble opinion, is the best way to describe what they were feeling at that moment. 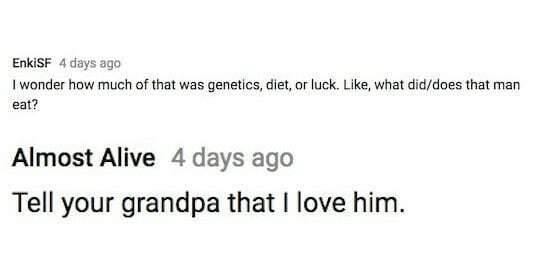 Commenters on YouTube were just as shocked and impressed as the family was, leaving encouraging comments on the video in the hopes that Gramps would see their kind words. In the water, he seems as spry as ever as he paddles his arms. It’s like he’s a kid again. Heck, if you make it to 102 years old, you’re pretty much invincible in my book! I’d love the opportunity to sit down with this man and hear all of the wisdom and adventure he’s accumulated over the past century. Seeing how happy Gramps is to be in the water is a reminder to care for the elderly in our families and in our communities. They’ve done their fair share of taking care of us, now it’s time to take care of them. Check in with your elderly neighbors every once in a while to make sure that they don’t need any assistance, and urge your children to call their grandparents as a reminder that they’re loved and valued. Above all, though, be like the Kelly’s and encourage childlike joy. It can be discouraging to age and become frailer, but to be able to dive headfirst into a lake and make a splash in the 102nd year? That’s what life’s all about. I hope that if I ever reach the ripe age of 102, I’ll have family surrounding me to encourage me to keep the kid in me alive and adventurous.